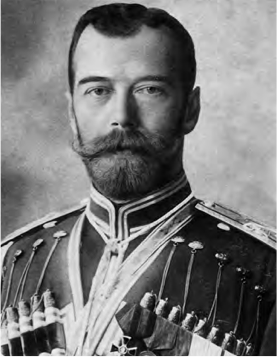 A hundred years ago today (15 March 1917), Nicholas II, the Tsar and Emperor of Russia, abdicated in the wake of the ‘February’ revolution. Although the focus of the civil and military unrest that led to this step lay in Petrograd (St Petersburg had been so renamed in 1914 at the start of the First World War), the revolution spilled out rapidly across the country. Sevastopol, a centre of the 1905 revolution with large-scale mutinies of the Black Sea Fleet, was not immune. Nicholas II had been a frequent visitor to Sevastopol during his reign, and made his final inspection of the fleet in May 1916. On his abdication, he wished to exile himself to Livadia, his beautiful summer palace and estate at Crimean Yalta. That was not to be. As I write in Sevastopol’s Wars, once again the city and naval base of Sevastopol was caught up in revolution. Unsurprisingly, as in 1905, the mix of sailors and dockyard workers provided a fertile breeding ground for industrial unrest and political agitation. The impetus for the start of revolutionary activity came with the news of 17 March 1917 concerning the abdication of Nicholas II. Two days later elections to a soviet of working deputies took place in Sevastopol, in which – it should be stressed at this early stage of political developments in the city – only two Bolsheviks were represented. Simultaneously, a number of sailors’ committees were formed on the ships of the Black Sea Fleet and an overarching ‘United Central Military-Executive Committee’ was established in Sevastopol. Following the dissolution of governmental authority, [the commander of the Black Sea Fleet] Admiral Kolchak had written despairingly in March that ‘catastrophe is coming closer … only my conditional authority and influence, which may disappear at any minute, prevents a complete break-down … and then I will have to deal with the historical disgrace of a senseless mutiny in the fleet during wartime’. His dire predictions were to prove uncannily accurate. On 22 April, thousands of people took to the streets of the city in demonstrations. They welcomed home the return of sailors, who, benefiting from a national amnesty, had been recently released from either exile or prison resulting from their participation in the mutinies of 1905 and 1912. Buckling under the pressure of sailors’ protests, on 13 May, Kolchak reluctantly ordered the renaming of warships bearing imperial names. Thus the Imperator Alexander III, Imperatritsa Ekaterina Velikaya and Nikolay I became the Volya (Will), Svobodnaya Rossiya (Free Russia), and Demokratiya (Democracy) respectively. By this time, serious political developments were already under way. … Sevastopol’s Bolsheviks created the first autonomous Bolshevik organisation in Crimea, which was connected to other similar groups in the Donets Basin (Donbas) industrial region. On 14 June, the Sevastopol committee of the Russian Socialist Democratic Labour Party (RSDLP) was established.